1.1 Governmental Purpose of the Louisiana Seafood Promotion and Marketing Board (LSPMB) - "The Louisiana Seafood Promotion and Marketing Board ("LSPMB") is an agency in the Department of Culture, Recreation and Tourism. The LSPMB was established to aid the commercial seafood industry in two vital aspects - product promotion and marketing development. The purpose of the LSPMB is "to enhance the public image of commercial fishery products, thereby promoting the consumption of these products and, further, to assist the seafood industry, including commercial fishermen and wholesale and retail dealers, in market development so as to better utilize existing markets and to aid in the establishment of new marketing channels." (R.S. 56:578.1). 1.2 Purpose - The purpose is to provide additional funding to support activities that will promote and assist in the expansion of the seafood industry in Louisiana. 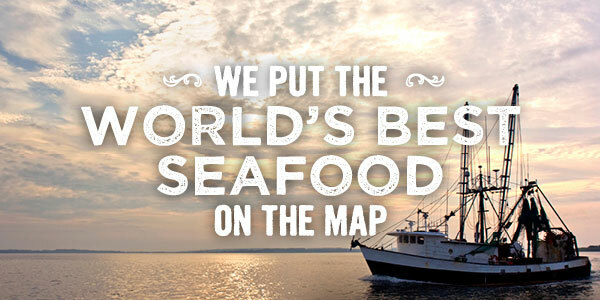 1.3 Vision - The LSPMB's vision is to market and promote the Louisiana Seafood brand and promoting the expansion of the Louisiana commercial seafood industry. 1.4 Mission - The LSPMB collaborates in private and public sectors to extend their efforts to promote and market the Louisiana seafood brand. You must fill out all applicable sections of this form completely for funding consideration. Completing this form is not a guarantee of funding. Requests should be made a minimum of 30 days before the event start date. Any questions regarding the completion of this form may be directed to laseafood@crt.la.gov. All supplemental documentation must be submitted separately to laseafood@crt.la.gov. In the subject line, include "LSPMB-SR" and the title of your project or event. An application will not be viewed as complete until all supplemental documents have been received by LSPMB. Incomplete applications and will not be reviewed. Enter the legal name of the entity and the individual contact requesting the funding along with mailing address (including city, state, and country), email address, and phone number. Select the choice that best describes you and your organization. List districts for the state representative, state senator, and U. S. Congressperson for the location where the entity is registered. This information can be found at http://www.legis.la.gov/legis/FindMyLegislators.aspx. Note: You may need to disable popup blockers in order to access this website. Select "yes" or "no" to indicate if you have received funding from the Department of Culture, Recreation, and Tourism (DCRT) in the past 3 years. If you select yes, explain (from which department, amount of funding, grant type if applicable, project funded, and date of the project). If you selected Event Monetary Sponsorship, continue to complete the remainder of the form, omitting Section 7. If you selected Event Seafood Donation, continue to complete the remainder of the form. If you selected Both, continue to complete the remainder of the form. Indicate the funding amount requested along with the total project budget. List the title of the event. Provide an address for the location where the event will take place along with the districts for the corresponding state representative, state senator, and U. S. Congressperson. If the event is taking place at multiple locations, provide address and district information for each location. Indicate whether your event is registered with the Louisiana Association of Fairs and Festivals (LAFF). List the name of the person(s) managing the event, along with their title, phone number, and an email where they can be reached during the daytime. With whom would the agency contract (i.e., who is the payee/contractor)? What are the names and titles of the signatory, point of contact, the contact information, and Tax Identification information for the payee/contractor? All organizations must submit a complete W-9 and Letter of Good Standing with the Secretary of State. These documents can be submitted separately - See instructions regarding supplemental documentation. Event proposal should be 300 words (2200 characters) or less and must provide a clear overview of the event and its purpose. Enter the start and end dates of your event. Factor in time for submitting your final report and invoicing to your event timetable. List major activities that will include the promotion or marketing of seafood throughout the event period. If needed, this section can be submitted separately-See instructions regarding supplemental documentation. List proposed deliverables (Examples include but are not limited to: TV, Radio, Print, Digital, Logo Presence, Speaking Opportunities, Signage, Event Tickets, Event Memorabilia, etc). If needed, this section can be submitted separately-See Instructions regarding supplemental documentation. Using the chart below, list the types of media and/or advertising the event will utilize, along with the budget for each. If needed, this section can be submitted separately-See Instructions regarding supplemental documentation. Indicate whether the current event has requested any funding from any other entities within the Louisiana Department of Culture Recreation & Tourism or from any other state agency, elected official or the Louisiana State Legislature. Using the chart, indicate the source and amount of anticipated (requested) income. If you have not requested any other support form a state government entity, leave this blank. If needed, this section can be submitted separately-See Instructions regarding supplemental documentation. Explain how this event will promote and assist in the expansion of the Louisiana commercial seafood industry. If your event does not directly relate to the seafood industry, how does your event promote the consumption of Louisiana seafood products? Briefly indicate how you were referred or learned of the availability of funding through the Louisiana Seafood Marketing and Promotion Board. Commercial Saltwater Finfish (tuna, red snapper, etc.). Be sure to indicate desired quantity of the species you are requesting. If requesting shrimp, provide the desired size and disposition. Note: The LSPMB is unable to provide anything other than the actual seafood product. Plates, napkins, seasoning, sausage for dishes, etc. cannot be provided. Explain how the Louisiana seafood will be prepared at the event. What dish is being served/how will the seafood be used? The amount of seafood requested should coincide with the expected attendance of the event. The seafood request should also coincide with how the product is being prepared/served to the event attendees. Provide the date of delivery and address of delivery for the seafood request. In addition, provide a person to contact (name and number) should the driver have any questions upon delivery. Before submitting, review the request form to ensure all applicable sections have been accurately completed. IMPORTANT: All requests, other than seafood donations, are completed on a reimbursement basis. No funds will be paid until after the event has taken place, all proof of performance has been received by LSPMB and the submission of an invoice. Funded requests may have additional requirements set forth in an official funding agreement.